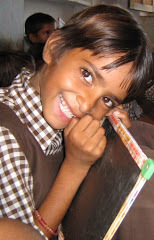 Yet another village school will be launched by Indian Development Foundation on 1st August 2007 at Nonpura village in Ramgarh Tehsil, Jaipur District in Rajasthan. The school dedicated to the children of Nonpura village will be called Tilak Bal Gurukul. 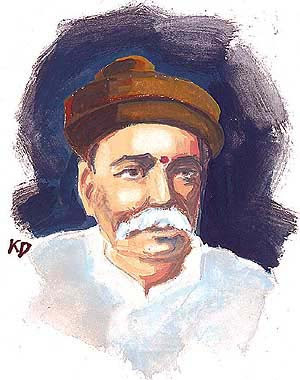 India at 60, recently celebrated the 150 birth anniversary of Bal Gangadhar Tilak on 22nd July 2007 and IDF has pleasure in naming the school after this great stalwart of the nation. 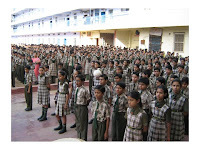 IDF in collaboration with Sarthak Manav Kushthashram will be operating the school activities. TBG is the brand name of the village schools/ empowerment classes of IDF which was launched 2 years ago. IDF has totally established 14 such empowerment programmes in different parts of India. Hon'ble Shri Brij Kishor Sharma, MLA of the constituency will be the Chief Guest of the Programme. Shri P. D. Singh, Director, Tagore Group of Institutions will be Special Guest. Dr. K. L. Jain, Patron of Sarthak Manav Kushthashram will be Guest of Honour. Education programme for the TBG will be supported by IDF while the monitoring and supervision will rest with SMK. Join hands with IDF-SMK as we launch Tilak Bal Gurukul. Find the purpose, means will follow. Mahatma Gandhi. Dr. K. B. Kushal, Western Regional Director for DAV Group of Schools welcomed the IDF team comprising Dr. A.R.K. Pillai, Dr. C.N.N. Nair and Dr. Narayan B. Iyer to discuss various nation building activities as India completes 60 years of Independence. Health, Education and Development will be the core issues in the Workshop that will be organised in the month of August at the Health Centre of DAV in Kharghar, said Dr. Kushal. We need to contribute to the making of the roadmap of India, he stressed. Dr. Pillai gave a brief outline of IDF and its national activities in the areas of health, education and rural development. He thanked Dr. Kushal and the entire team of DAV for coming forward to support IDF in its humanitarian programme. Dr. CNN Nair gave a graphical presentation on English literature which is prepared using engineering techniques in a user-friendly manner. Dr. Kushal complimented Dr. Nair for his wonderful presentation and requested him to share this novel idea with the DAV teaching faculties and the students. Dr. Kushal congratulated Indian Development Foundation in its national programme and exhorted the people to join hands with IDF and support humanitarian causes. Indian Development Foundation (formerly Indian Leprosy Foundation) congratulates Her Excellency Smt. 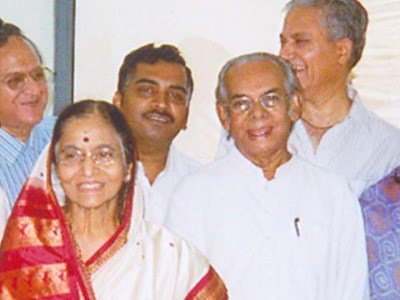 Pratibhatai Patil on her assuming the office of the President of India. Women at large have to celebrate and cherish this golden moment as Smt. Pratibha Patil takes the top office of India as India completes 60 years of independence. Women Empowerment and education for the girl-child will be buzz word from the President's office. .........."I am reminded of the words of the great seventeenth century, Marathi poet-saint, Sant Tukaram, who said: One who befriends the poor and the oppressed, Recognise him to be a Saint, for God is with him. "..
..........."I am deeply committed to the cause of education and would like to see every person, man and woman, boy and girl, be touched by the light of modern education. Empowerment of women is particularly important to me as I believe this leads to the empowerment of the nation." Are you shocked to see these pictures ? You might have felt that we were also in the Central Hall when Smt. Pratibha Patil took her oath as the President of India. Please take a deep breath. Actually, these pictures were taken at Jaipur while Smt. Pratibha Patil as the Governor of Rajasthan inaugurated the multi-speciality hospital `Tagore Hospital and Research Institute'. Shri P. D. Singh, Chairman of Tagore Group of Institutions and his team of doctors are also seen in the picture. IDF team was invited to witness the event. We have just put these pictures as a sort of reminiscences. Dr. A.R.K. 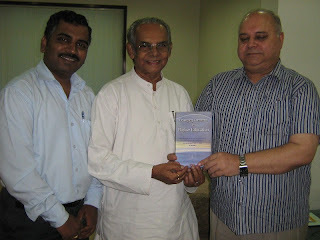 Pillai and Dr. Narayan Iyer had the opportunity of meeting Smt. Pratibha Patil when she was the Governor of Rajasthan and explained the work of IDF in national interest. Madam Patil had congratulated IDF team for the excellent humanitarian work. She used to send timely messages for all the events of IDF. Smt. Patil had also visited Sarthak Manav Kushthashram (IDF's associate project in Jaipur) and wished the leprosy patients during Anti-leprosy week programme. Shri Suresh Kaul, President of SMK too had a couple of meetings with Smt. Patil at Raj Bhavan and explained about the leprosy work in Rajasthan. IDF conveys best wishes to Her Excellency Smt. 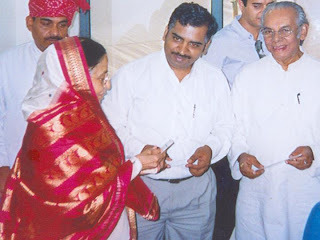 Pratibha Patil, President of India in all her endeavours for the betterment of the nation. On behalf of the entire nation, IDF thank Dr.APJ Abdul Kalam for igniting the 540 million young minds towards a developed India of 2020. We are indeed grateful to you, Dr. Kalam. You have been a great source of strength to IDF too, dear Sir. 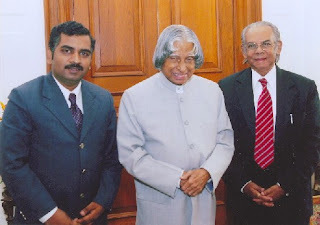 We thank Dr. Kalam for giving us valuable guidance and sage advices during our visit to Rashtrapati Bhavan. Dr. Kalam also recognised the work of IDF in empowering the tribal people and presented a memento to Dr.Pillai. 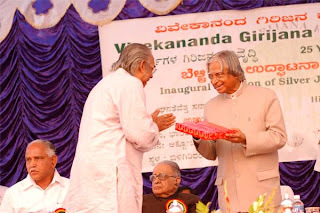 It was Dr.Kalam' birthday - 15th Oct' 06 - when the presentation was held at VGKK's Silver Jubilee function at BR Hills in Karnataka. We thank Dr. Kalam for his contributions to the development of India. While we present the Thanks giving Speech of Dr.Kalam to the nation, we wish Dr.Kalam a happy teaching to the youth in the days to come. Snehavardhak Shaishanik Mandal's educational institutions at Talegaon Dhabade in Pune District of Maharashtra received IDF team on Saturday the 21st July. Dr. A. R. K. Pillai, President of Indian Development Foundation addressed the teachers of Bal Vikas Vidyalaya on `Teachers' Empowerment Programme' while Dr. Narayan B. Iyer, Co-ordinator talked to the group of XII standard science students on `Career Guidance'. Dr. Pillai gave detailed information on making of a ideal teacher. His speech was well received by all the teaching faculties and also cleared all doubts on the latest teaching methodologies. Teachers came forward and asked about counselling techniques and behavioural changes of the students. Dr. Pillai explained to their fullest satisfaction. Dr. Narayan touched upon the increasing career opportunities for the science students. He also helped them in setting their goals and asked the students to prepare an alternative career too. Students appreciated the career guidance programme and left the hall with a sigh of relief to prepare their path in life. 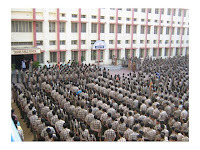 Snehavardhak Shaishanik Mandal's educational institutions has been a great supporter of Indian Development Foundation. IDF is committed to imparting knowledge and empowering the teaching faculties and students for the betterment of the country, said Dr. Pillai. He also thanked the institution for all the support given for the humanitarian causes. Advocate N. Kalokhe, President of the Institution appreciated the work of IDF and exhorted the people to come forward and support IDF. Adv. Kalokhe said, such empowerment programmes will definately help the teaching skills and thereby increase the standard of the school. Mrs. Helen Anthony, Ms. Kiran Vaishnav, Mrs. Dipali Deshpande - HMs of the School thanked IDF team for the excellent empowerment programme. Mrs. Sujata Kulkarni from the School also appreciated IDF's contribution in school development. Mr. Yeshwant Kadam, Secretary of the Institution who could not attend the event sent his best wishes for the success of the programme. Mr. Sanjay S. Waghmare and Mrs. Sreelekha Narayan joined the IDF team and assisted the empowerment programmes conducted in the school. The Teachers' Empowerment Programme has become the `Talk of Talegaon'. Dr. Hepesh Shepherd, Director of Ingraham Institute, Ghaziabad congratulated the work of Indian Development Foundation in the humanitarian fields. The Director was happy to hear from Dr.Narayan about the success of leprosy eradication programme in India. Dr. Narayan Iyer called on Dr. Hepesh Shepherd on 18th July at the Institute and gave a detailed report on the working of the Foundation. Dr. Narayan thanked Ingraham Institute for all the support being given to the Foundation for several years now. Ingraham Institute and IDF has come together to start an Empowerment Class Programme for the benefit of the hearing impaired students studying in the Asha Vidyalaya, a unit of Ingraham Institute run in Ghaziabad. `Ingraham Bal Gurukul' will be the name of the empowerment class programme which will comm ence from next week. Assisted by Mr. Tyagi from the Institute, Dr. Narayan visited Asha Vidyalaya and met the Principal Mr. M. R. Phatak who takes care of the special children. Mr. Anurag Kishor, an MSW by profession and the Social Representative of Ingraham Institute will be the programme co-ordinator of `Ingraham Bal Gurukul'. Earlier, Dr. Narayan had called on Ms. Arpana Ruth, Principal of Ingraham English School and Ms. Sampson, HM of the Primary Section. Let us pray to God Almighty and see that we set a role model in the field of empowerment education, said Dr. Hepesh Shepherd. IDF thank Ingraham Institute for all the support given to the Foundation from time to time. Mr. N. C. Lunayach, Managing Director of N.K. Public School, Murlipura, Jaipur was awarded with the prestigious `Rashtriya Rattan Award' 2006-07 for excellence in the field of Education. The Award was instituted by Citizen Integration Peace Society and was presented by Dr. A.R. Kidwai, Governor of Haryana in a recently held function in New Delhi. Mr. Lunayach thanked the Director of the School Mr. Kuldeep Singh and the entire NKPS family and shared the Award with the team. It is a team work and i have been always in the lookout for providing education to the girl-child, said Mr. Lunayach. In addition to three schools, NKPS is also running a Girls College in order to provide better and accessible education to the girls living in villages. NKPS team has been a great supporter of Indian Development Foundation for its humanitarian causes. Dr. A.R.K. Pillai and IDF team congratulate Mr. Lunayach for this splendid achievement and wish him many more laurels in future. Rev. Fr. P. A. Philip, Vicar, St. Thomas Orthodox Church and Chairman of St. Thomas Schools in Ghaziabad has lent his continued support to Indian Development Foundation (formerly Indian Leprosy Foundation). A philanthropist with caring nature, Rev. Fr. Philip has always been in the forefront to serve the society at large. 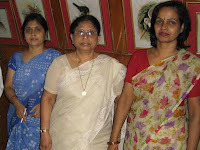 Mrs. Elizabeth Thomas, Principal of St. Thomas School, Indirapuram, Ghaziabad and Dr. Narayan B. Iyer are seen with Rev. Fr. Philip. Mr. J. 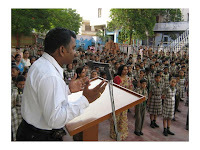 B. Sharma, Principal of St. Anthony's Boys Sr. Sec. 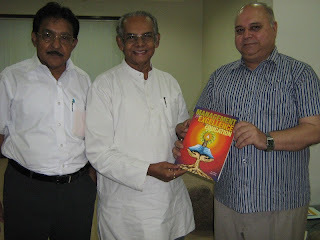 School, Paharganj, New Delhi receives Joint Action magazine from Dr. Narayan. Mr. Zakir and Mrs. Violet from the SABS look on. SABS has been supporting IDF for nearly a decade now. Mrs. Kamal Rathore, Principal, Tagore International School, Jaipur is a great supporter of leprosy eradication programmes in India. Mrs. Rathore presenting a special magazine of the School `Srijan' to Dr. Narayan during his visit to the school (17/07/07) Wg. Cdr. H. S. Rathore, Director and Mrs. Raj Rathore, Principal of Candlewick Public School, Jaipur join hands with Indian Development Foundation in its humanitarian programme. The Rathores have been supporting the leprosy affected persons in Jaisalmer District of Rajasthan. IDF congratulate the Rathores for their splendid contribution to the society. Mr. Anil Kumar Poonia, Principal of Tagore Vidya Bhavan, Shastri Nagar, Jaipur appreciated the work of Indian Development Foundation and exhorted the students of TVB to come forward to support the cause of leprosy eradication. Mr. Poonia was talking to the students during the morning assembly on 17th July. Dr. Narayan B. Iyer, Co-ordinator, IDF addressed the students on scientific facts of leprosy and TB. While thanking the Tagore Group of Schools for their continued support to IDF, Dr. Iyer wished the students good luck in their career. Mr. P. D. Singh, Director of the institution has been a great supporter of IDF for nearly two decades now. It was a Social Service Awareness Programme Day for Tagore Public School at Shastri Nagar in Jaipur this morning (16/07/07). Leprosy is a disease caused by mycobacterium leprae and let me tell you that it is not caused by curse of God. 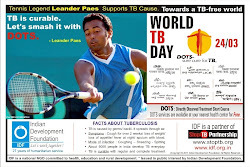 Leprosy is completely curable with MDT which is available free of cost at every government centre. A pale or white patch on skin with loss of sensation may be leprosy. Do consult doctor and take treatment early. 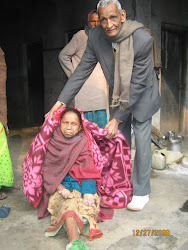 Do not isolate leprosy affec ted persons but accept them in families. And many more points included the introduction note presented by Shweta Kadel of Standard XII. IDF is the most successful NGO and today we have got this golden opportunity to meet Dr. Narayan who will further guide us on the objects of the Foundation in national interest, added Shweta Kadel as she concluded her introduction talk. 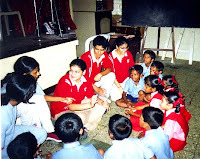 Tagore Public School has the tradition of conducting Service Service Awareness Programme, twice in a month along with a host of other activities. Two days in a month are dedicated to initiate such programmes which include social and education aspects, said Mrs. Jayanti Sen, Principal of TPS. Shri P. D. Singh, Director of Tagore Group of Schools welcomed Dr. Narayan Iyer to address the m orning assembly and sensitise the students on social responsibilities. Student Social Responsibility has to be taken up on a prime agenda. Students at young age are to be inculcated with social values, which in turn will help them in their long run, Shri Singh quoted with a smile. Addressing the students, Dr. Narayan highlighted the scientific facts on leprosy and the need for people to come forward and support such national programmes. He also touched about the rampant TB cases in India. Students are the prime motivators in health awareness programmes and the support of students need to be written in the letters of gold, said Dr. Narayan. Mrs. Mridula De, Vice Principal of the School and Mrs. Anita Sharma, Incharge for Social Service Wing took up the responsibility of supporting IDF project during the year. Dr. Narayan Iyer thanked TPS team for their continued support to IDF for over two decades now. Indian Development Foundation entered the district of Jhunjhunu in Rajasthan on 14th July. Jhunjhunu is surrounded by India's most famous havelis and is also know as the seat of education. Dr. Narayan Iyer visited Dundlod a place in Jhunjhunu as part of conducting health education programmes in schools. The prestigious institutions like Shekhawati Public School, Dundlod Vidyapeeth and Dundlod Public School came forward to support IDF's humanitarian programmes. The Principals of all these schools welcomed IDF to Jhunjhunu district and expressed their whole-hearted support for national programmes. Dr. Narayan Iyer thanked all the Schools in Dundlod for the support extended to IDF. (Pic 1) - Mr. A. K. Jha, Principal of Shekhawati Public School receiving IDF publications. (Pic 2) - Mr. S. C. Karnataka, Principal of Dundlod Vidyapeeth along with his team receiving IDF Performance Report. (Pic 3) - Mr. S. B. Banerjee, Principal of Dundlod Public School is seen with Dr. Narayan B. Iyer. Mr. Balwant Singh Chirana, Director of Vidya Bharti Public School, Sikar (Rajasthan) is a great supporter of IDF for over a decade. Educationist by profession, Rotarian Mr. Chirana has always been a great supporter of humanitarian programmes. Dr. Narayan Iyer called on Mr. Balwant Singh Chirana at VPS (CBSE School) on 14th July and presented IDF documents. 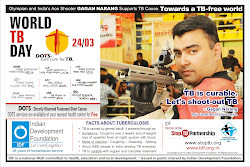 VPS group of schools will be supporting leprosy and TB projects of IDF. Mrs. Mamta Bhargava, Principal, Lawrence and Mayo Public School, Ajmer (Rajasthan) is seen receiving IDF literatures from Dr. Narayan Iyer. Mr. Sarabjit Singh, Academic Co-ordinator of the School and Mr. Ajay Singh from IDF look on. Lawrence and Mayo Public School team has come forward to support IDF's humanitarian programmes. Dr. Narayan visited the school on 13th July. As part of Student Social Responsibility the Students of Vibgyor High (VH) at Goregaon in Mumbai had an interactive session with the children of St Catherine's Home, Andheri, Mumbai this afternoon (13/07/07). About 40 senior students of VH spent more than an hour with their counterparts of St. Catherine's home in an atmosphere of friendliness and cordiality. 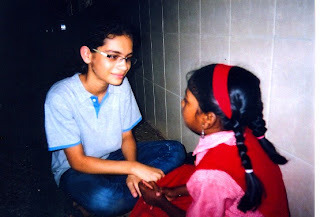 Eight groups of students of five each from VH interacted with a good number of Home students . Exchange of information like personal details, hobbies, study pattern and the like formed the core of their interaction. Their animated mood cemented their fellowship. Each group of VH was asked to present their team and teachers asked a few questions on their interaction level and the replies were highly appreciated. Ms. Sagarika, Head of IGCSE and Ms. Tamanna, Co-ordinator of the School and Rev Sr Blanche, Principal of St. Catherine's School formed the moderators group. Dr.A.R.K.Pillai, President of IDF, Mr S. Karthick, Social Enterpreneur, IDF, Mrs.Sreelekha Iyer and Mr Sanjay Waghmare formed the IDF Group. Mr. Karthick announced the comparative ratings of interactive groups. Earlier,VH Students distributed chocolates and pastries to the children of St Catherine Home. It was indeed a human touch presented by the Vibgyor students. Let more such interactive sessions follow. This follows Mahima Gehlot's speech on World Population Day, the little girl Sabita Mohanty of Standard V of Bharatiya Vidya Bhavan's Vidyashram, Jaipur too gave an extempore speech on the importance of Hard Work this morning (12/07/07). On request, she also penned down her throughts for IDF. It is really creditable to see the matured thoughts of a little girl. Kudos to Sabita Mohanty. When asked about her goal in life, she said `i would like to become a paediatrics - a doctor for the children' and serve them. It's mindblowing to listen to such young students. Looking at such wonderful minds, one could feel that genNext will take the mantle of development of our country. Work is the highest duty of man. Work is worship. Without work a man cannot lead a happy life. This beautiful world is God's work. God himself is a worker. He wants every one of u s to work that is why He brought us in the world. A man works for the comforts of life. He has to work hard to support his family. Sometimes he works to win name and fame. Hard work is not injurious to health rather than contributory. Hard work makes body active and smart. Those who do not work hard and remain in their cushioned beds often fall ill. Mental work makes our mind sharper and keener. If a man does not do physical work, his body becomes weak. But for hard work it is necessary that a man should like the work. If he likes the work he will do it enthusiastically and will progress to make life easy and enjoyable. An idle man's mind is a devil's workshop. Only those who work hard get glory and success in life. Hard work gives peace to mind. It gives mental satisfaction. A man who works hard enjoys a sound sleep. He never develops bad habits because he is always busy. Through his hard work man has brought heaven on earth. Hard work pays in the long run. IDF congratulates Sabita Mohanty for her wonderful thoughts on hard work. We wish her good luck in her studies. May God bless you. Indian Development Foundation organised a two-day health awareness programme at Bharatiya Vidya Bhavan's Vidyashram in Jaipur. Dr. Narayan B. Iyer spoke on the objectives of the Foundation and also highlighted the scientific information on Tuberculosis to the children. He addressed the Secondary students assembly on 11th July while the Primary and Balwadi students were addressed on the 12th. Mr. Upendra Kaushik, Principal of the School appreciated the work of IDF and exhorted students to come forward and support humanitarian programmes. 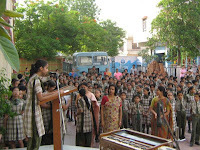 Our school has always been in the forefront in helping social causes, expressed the Principal. Mrs. P. Kachhawa, Vice-Principal said, it is the Bhavan's culture to support social programmes in national interest. Not a single student is denied of the opportunity of participation, Ms. Kachhawa said. Mrs. Lalita Vohra, Headmistress of the School and Mrs. Valentina Kathuria, Co-ordinator of Balwadi appreciated the work of IDF and assured of full support to the needy and the suffering. 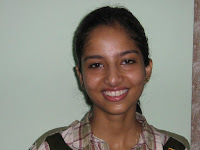 Mrs. Anushri Mathur has been given the Social Service Responsibility of IDF during this academic year. IDF thank BVB's Vidyashram for their kind and continued support.